When it comes to bass music Bristol’s scene is the gift that keeps giving – the small city in the South West of England has had a massive influence in some of the key underground movements of the last twenty five years. 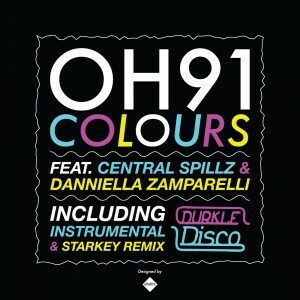 The latest addition to this prestigious bass bloodline is OH91 (“oh-nine-one”). 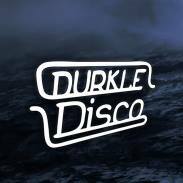 A young Bristolian producer bought up on Dubstep and Grime, his music owes as much to the ‘Purple’ sound of Joker et al as it does early 8-bar grime or sultry house & garage. Lush colourful synths and funk-infused soulful melodies are the hallmarks of his production palette, whatever tempo or style he is coming with. Bristol rap/dubstep collective Central Spillz, who guest on the vocal mix of ‘Colours’ alongside singer Danniella Zamparelli, were an obvious choice as collaborators, sharing a similar philosophy on the boundary-less nature of modern bass music to the producer. Spillz, best known for their high octane live shows, represent a free thinking approach musically that transfers to their lyrics. The vocals on Colours, provided by crew members Redders, Koast & C-Strike-Z, touch on intergalactic topics far removed from the run-of-the-mill MC wordplay and braggadocio of most current Grime or Hip Hop artists. Also included in the package is a remix from Philadelphia’s Starkey, who fell in love with Dubstep and Grime whilst living in London in 2001. Taking these influences back across the pond with him, Starkey’s own ‘Street Bass’ style is in full effect here, blurring the lines between Dubstep, Grime, Hip Hop, Trap and more. Bending vocal snippets, added bleeps, multi-layered synths and pounding distorted 808’s create a remix in the truest sense, providing a genuinely refreshing take on the fantastic original.